Birthdays are special, especially the 21st. 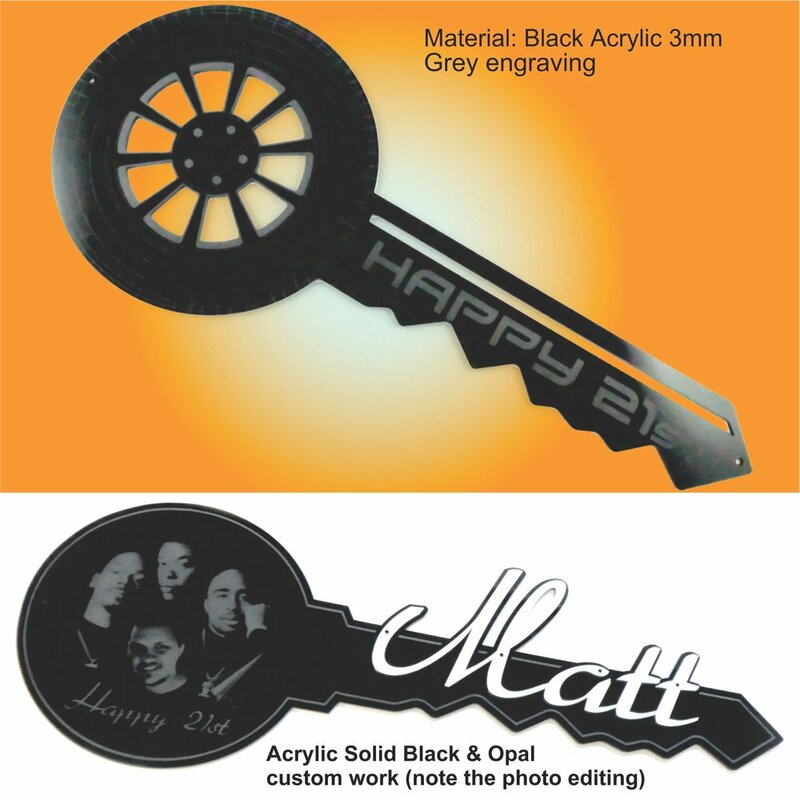 We believe that keys should be unique and personalized to the person who is celebrating. we have many acrylic colours available, black or white melteca and okoumi or ash hardwoods. We will create a design for you with your ideas in mind. Please give minimum 2 weeks notice before the event.